SPRING calves went under the hammer at Junction 36, Crooklands, where a buoyant trade topped at £445. The overall champion from David and Eileen Wallbank, Abbeystead. This was paid for a British Blue bull from G. and M.E. Woodhouse and Son, Lancaster. 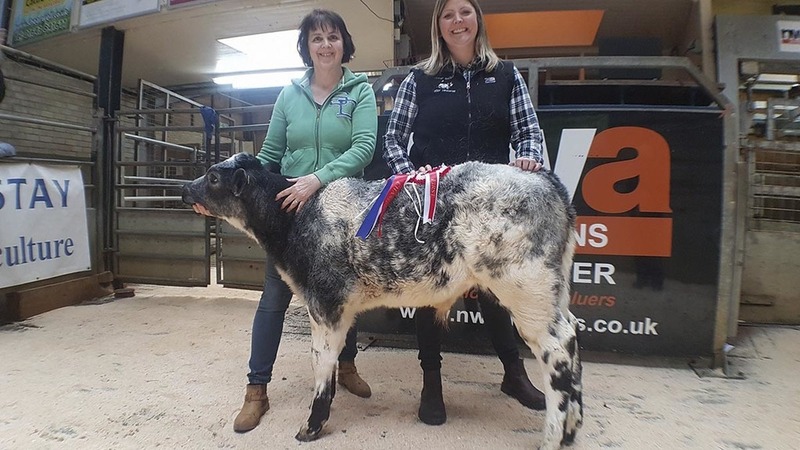 The overall champion was another British Blue bull calf from David and Eileen Wallbank, Abbeystead, which came down at £400. The heifer victor and reserve overall was a British Blue, which later topped the female trade and made £340, for C.R. and A. Baxter, Morecambe. Hereford heifer calves sold to £275 for a lot from F.W. Rhodes, Lancaster, while Hereford bulls from the same home also peaked at £275. Black and white bids sold to £195 for weaned claves from the Woodhouse family.